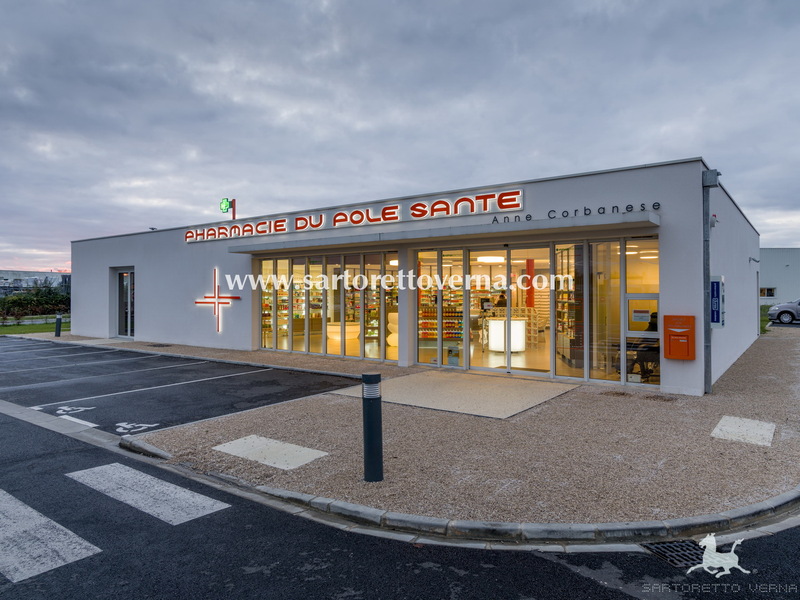 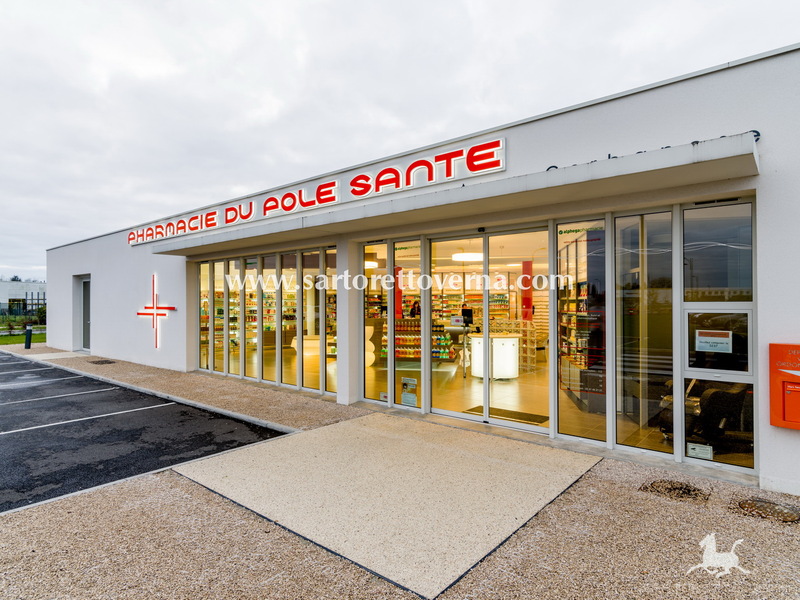 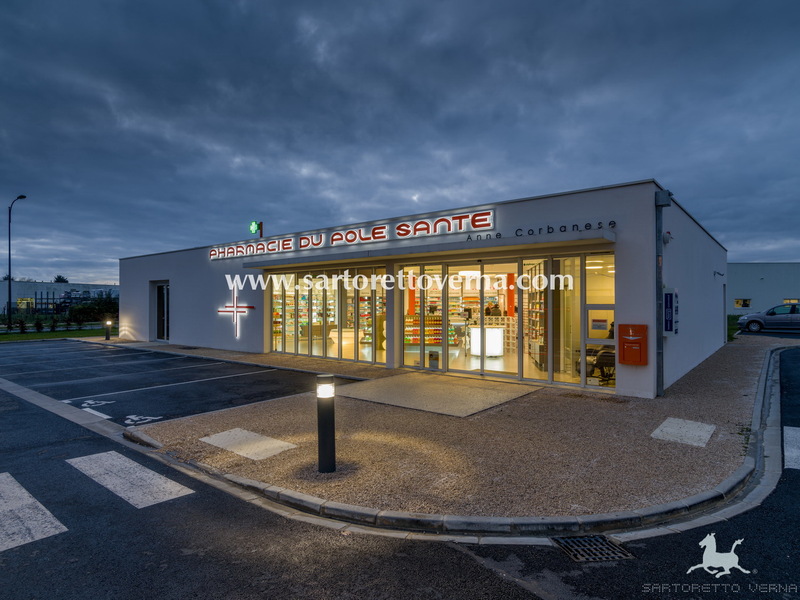 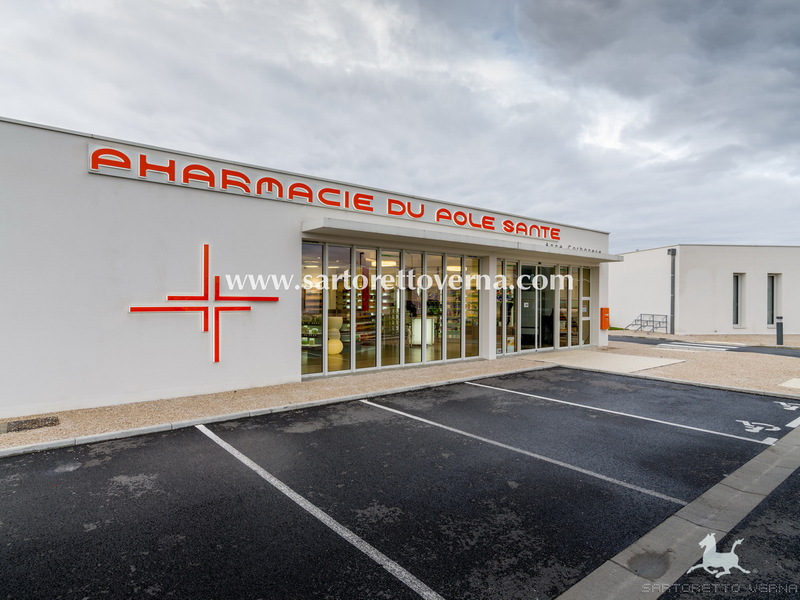 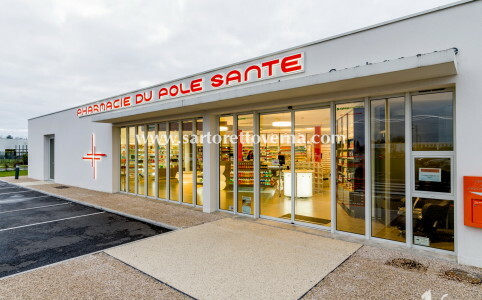 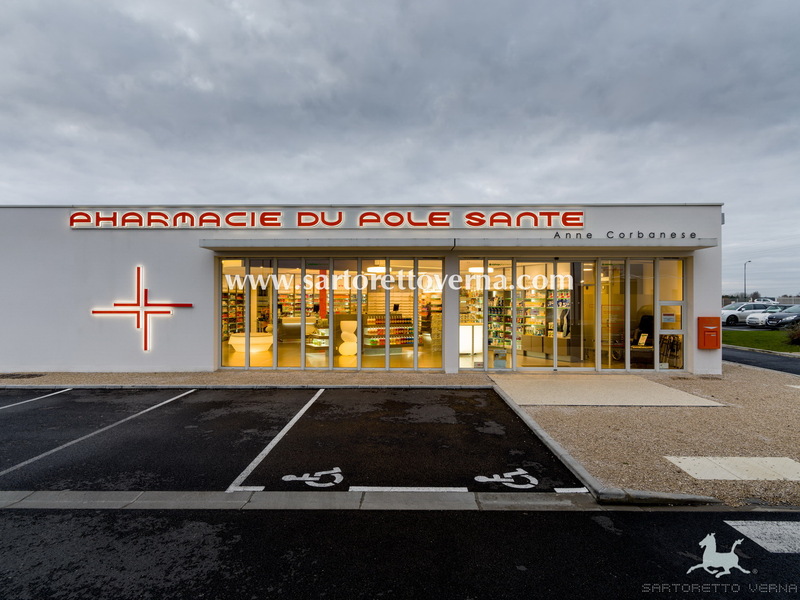 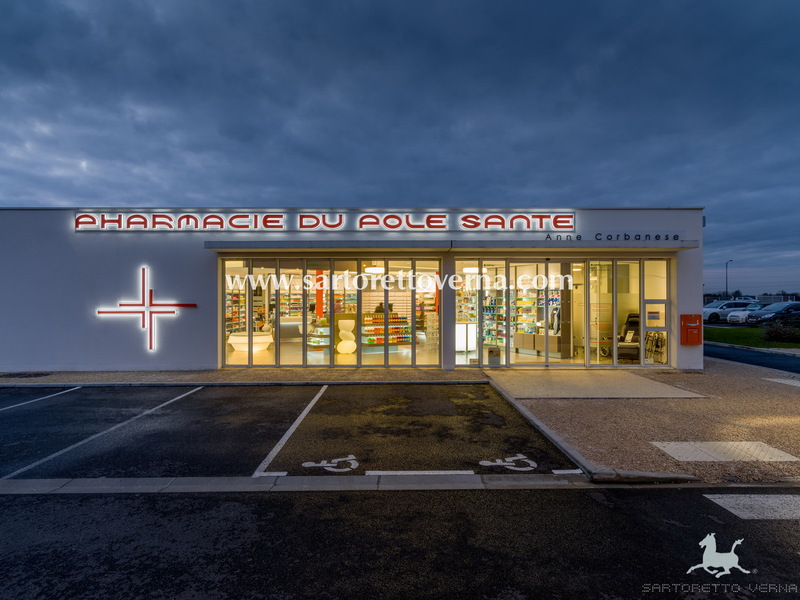 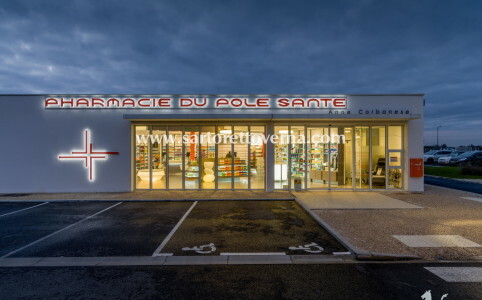 An innovative project in France, combining the need to maximize sales and profitability with the desire to establish itself as a point of reference that channels patients’ needs within the new medical center. 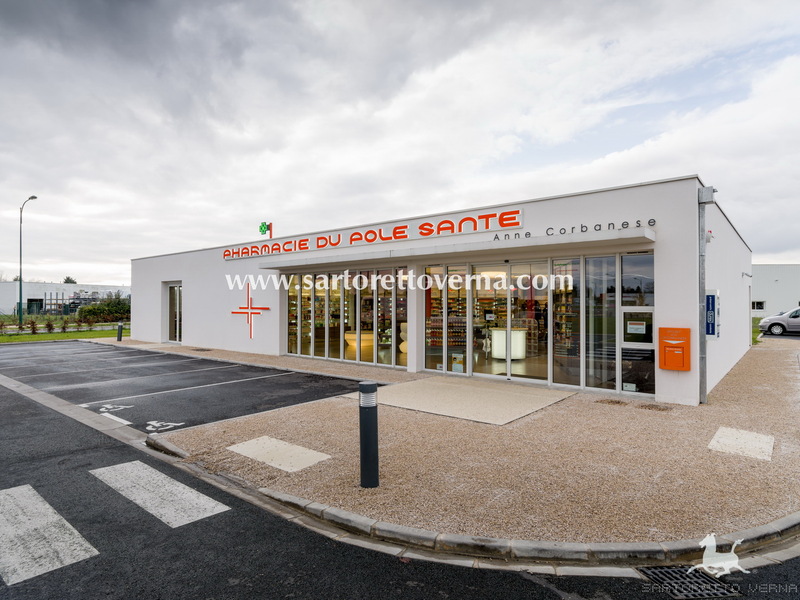 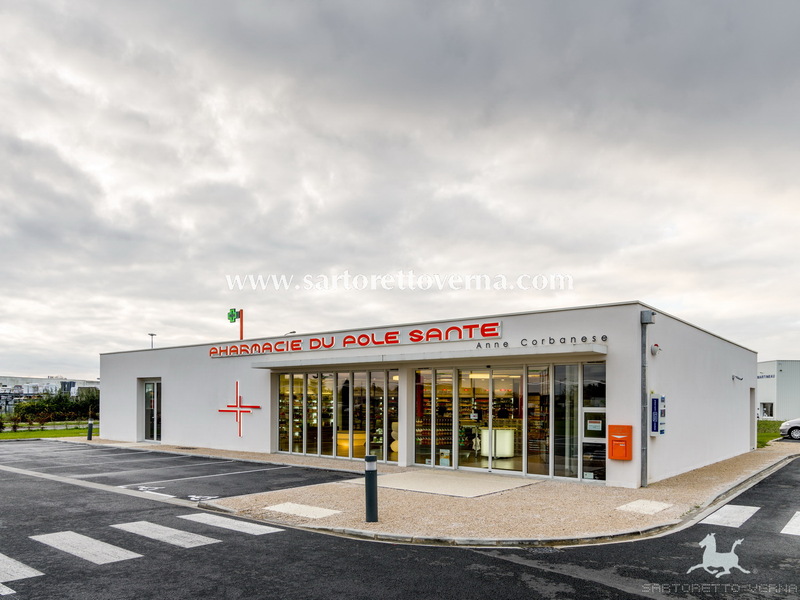 After 3 years since the project began, Pôle Santé in Val de Cher in France finally held its grand opening event for a vast community. 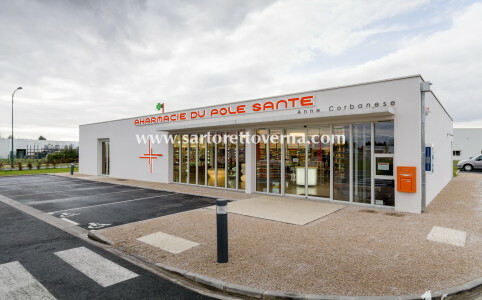 The objective of this multi-specialty medical center is to respond to ongoing medical desertification issues. 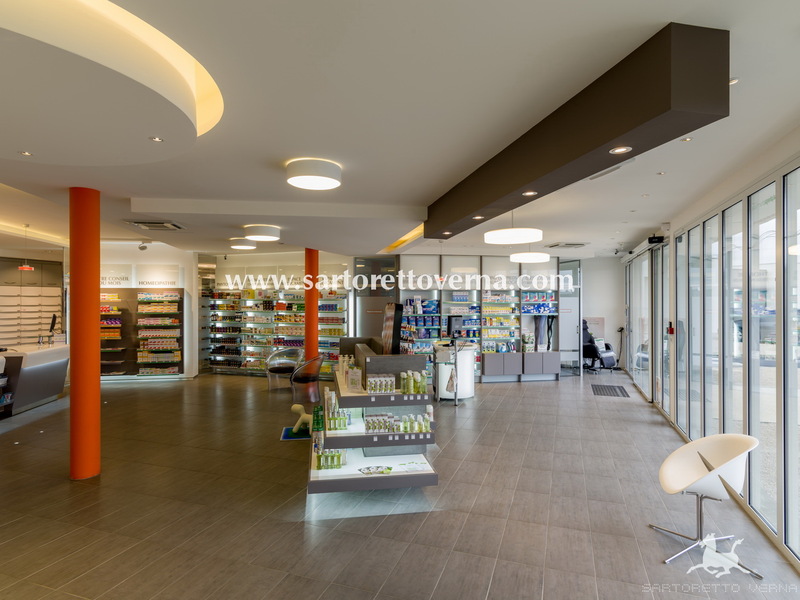 The center was designed by the Parisian architectural filrm Oglo and offers services by general practitioners, physical therapists and osteopaths, dentists, in addition to a 150 sq. 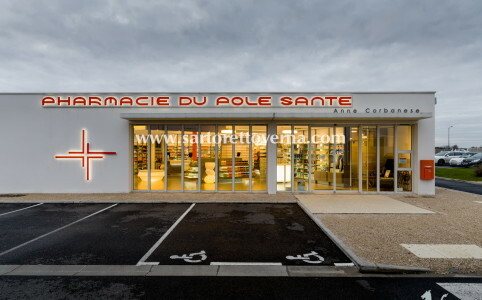 m. pharmacy. 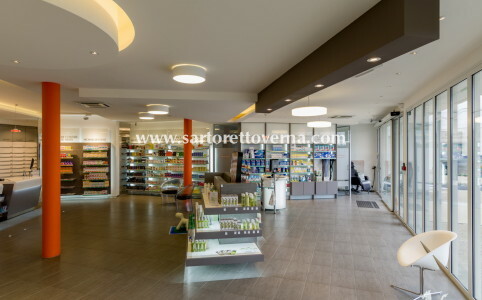 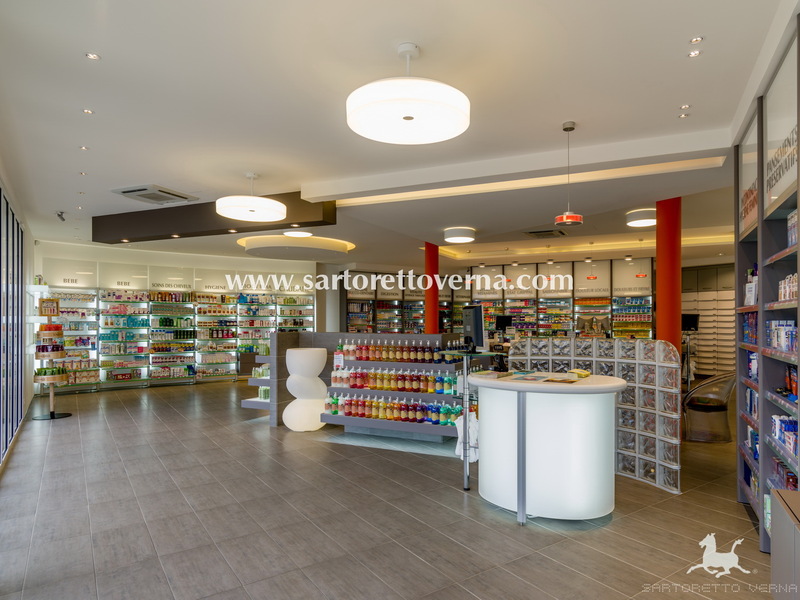 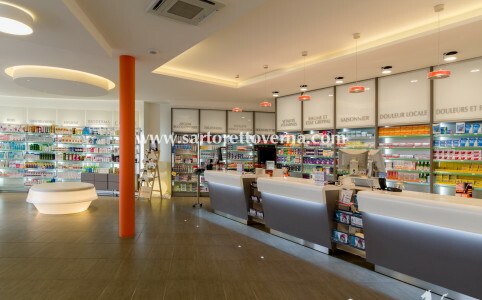 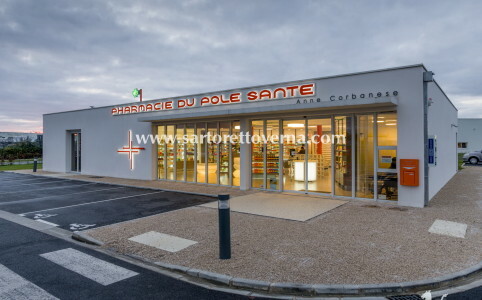 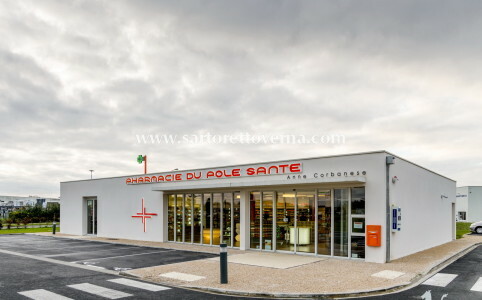 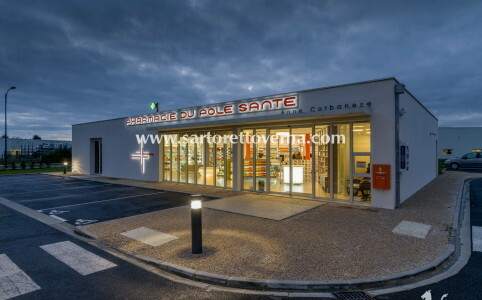 The desire to go beyond all expectations with an innovative concept pushed the owner, Anne Corbanese, to entrust the project’s design to Sartoretto Verna: an innovative project that combines the need to maximize sales and profitability with the desire to establish itself as a point of reference that channels the medical needs of its patients. 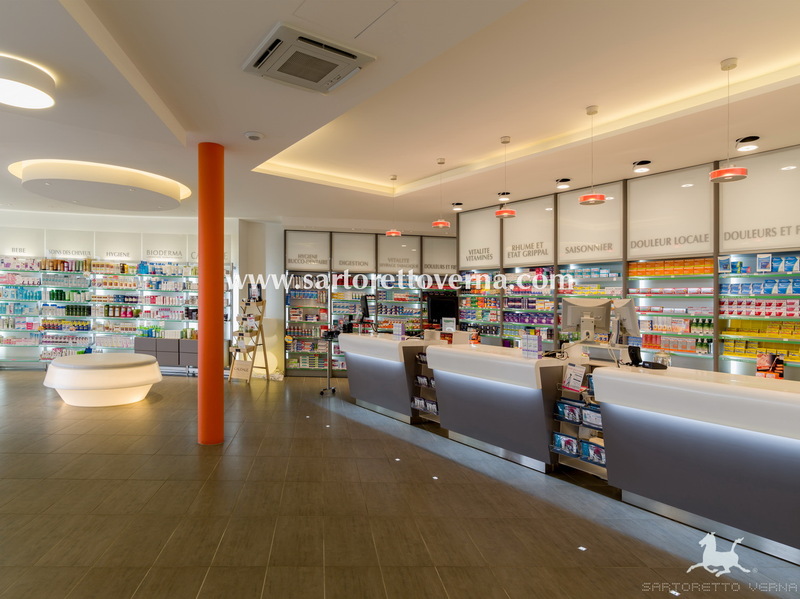 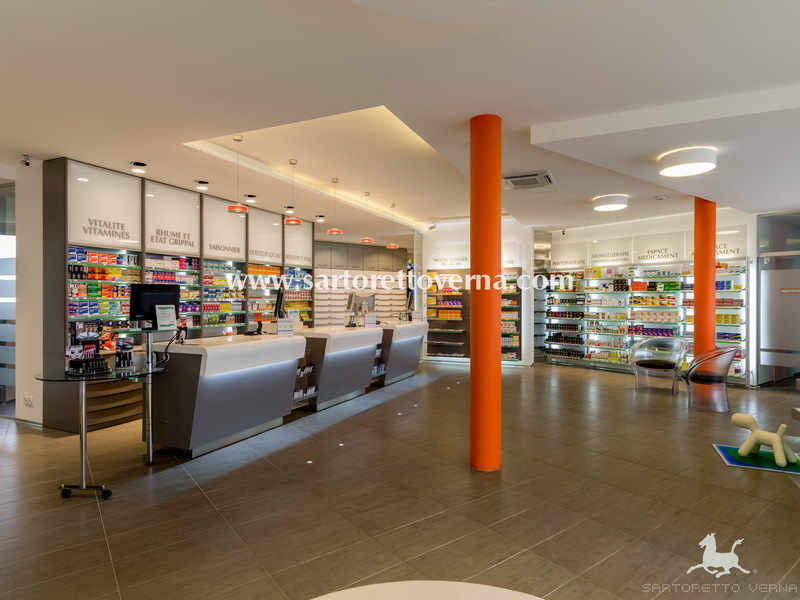 They are not just the pharmacy’s customers, but the customers and patients of the center as a whole, which offers areas and services tailored to their needs and a wide range of selected products. 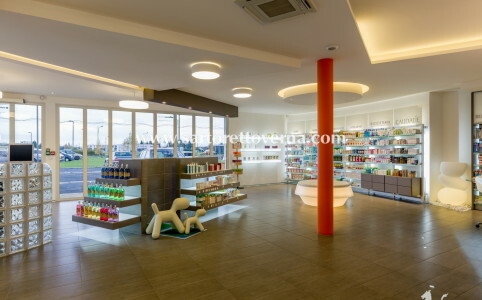 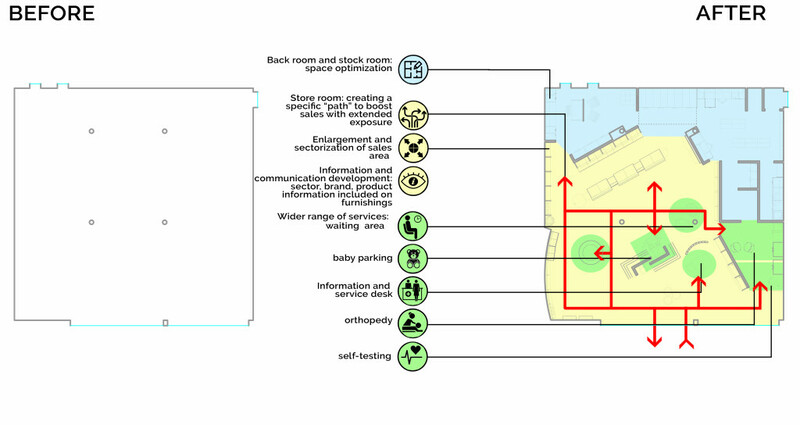 Different environments created within the same spaces allow you to quickly define the pharmacy’s positioning. 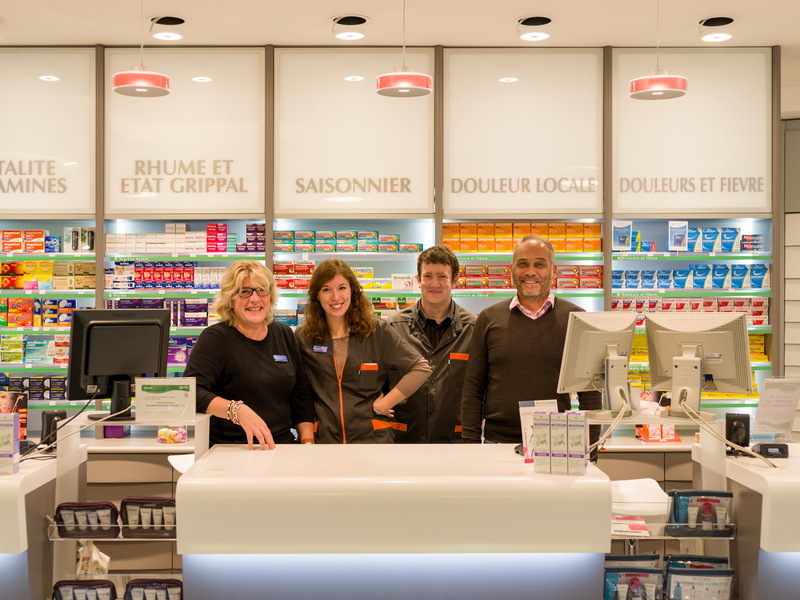 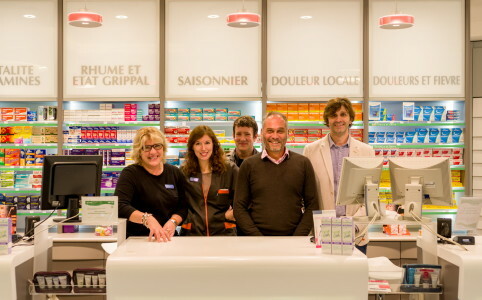 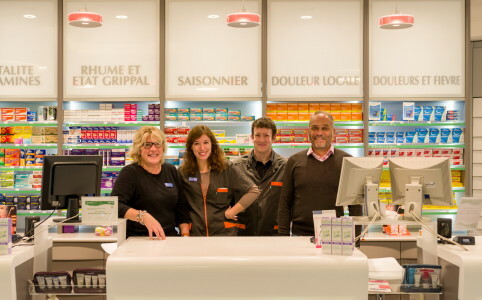 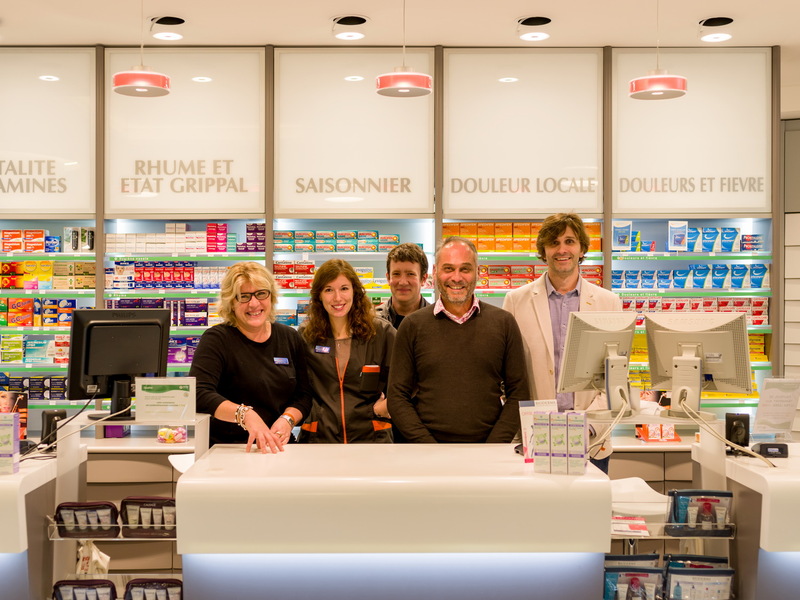 The pharmacy’s different departments are easily recognizable, amidst a welcoming environment with shades of turtle dove gray – the establishment’s symbol – with a touch of orange, reflecting the spirit of the dedicated pharmacists who work there. 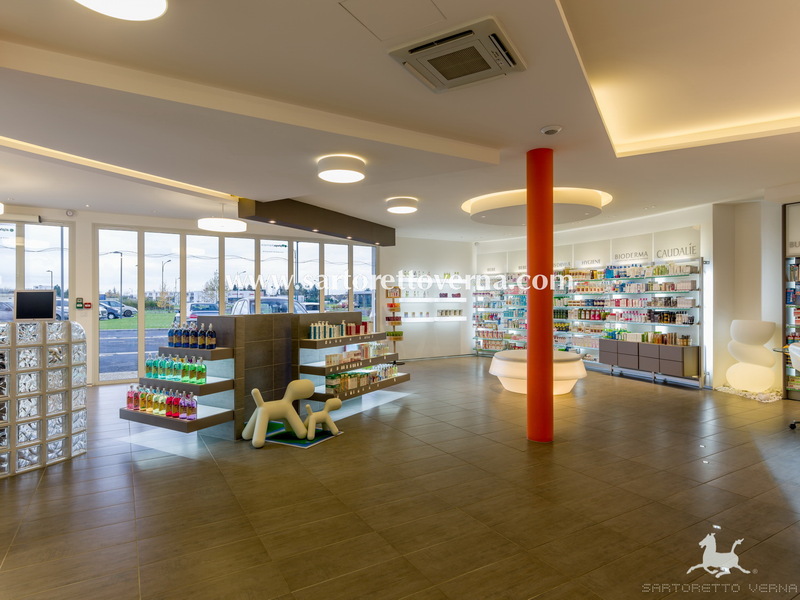 A welcome desk at the entrance to direct guests to the center’s well-organized and bright spaces, and a fast register at the exit. 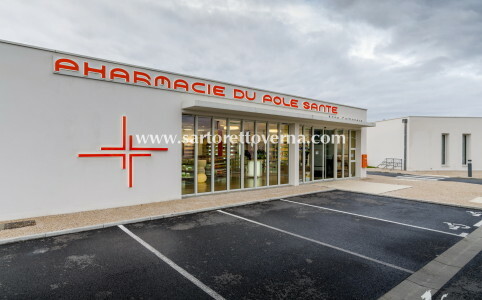 Advice corners that are specifically designed to be flexible and to meet the new responsibilities of the “family pharmacist”, as required by the cooperation protocol for health professionals (HPST Law). 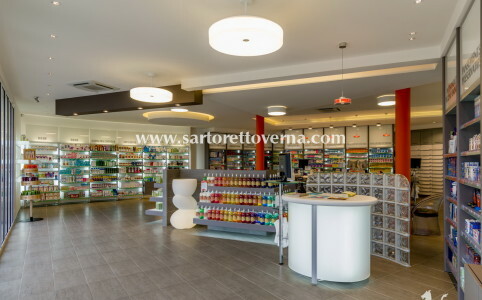 A self-testing area and an orthopedic room allow the pharmacist to provide quality care in private spaces; if necessary the two areas can be joined in order to offer a larger space, perfect to try orthopedic materials for rent or sale or organize a larger meeting.